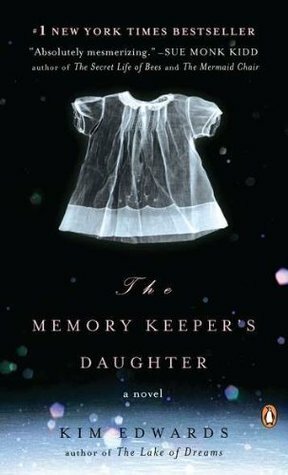 The Memory Keeper's Daughter by Kim Edwards- I get most, basically all, of the books I read from other people's blog recommendations, and this was another one. It was a good read. At times maybe a tiny bit slow, but I still enjoyed it and would recommend it. It was about a couple who was having a baby back in 1964. The husband was also a doctor, and there was a blizzard, so he ended up delivering himself. There turned out to be twins, but one had Down's Syndrome, so he immediately told the nurse to take the baby to an institution and instead told his wife that the baby had died. The nurse couldn't give the baby away and raised her herself. It was an interesting story of all of their lives and how a secret/not telling the truth eats away at you. Me Before You by Jojo Moyes- I felt really cool because I had this book on my "to read" list before I knew it was coming out soon as a movie, so I was cool before it was cool. Ha. This was also a good read. I really enjoyed it and it was entertaining. Their relationship was captivating and I wanted to know what happened to them. The ending was not what I expected and I still feel weird about it, but it's worth reading. I also want to see the movie in June! 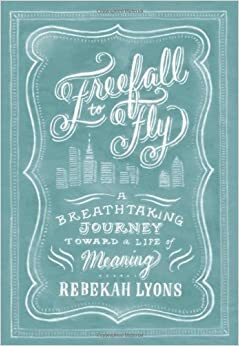 Freefall to Fly: A Breathtaking Journey Toward A Life Of Meaning by Rebekah Lyons- This was a book that was sitting on our bookshelf for a long time, given to me at a Christian conference once, and had never read. I'm glad I read it! I love reading people's stories, so I really enjoyed this book. It's basically just the story of her life- her kids, her struggles with depression/anxiety, their big move from Atlanta to New York, etc. In the end she talks about suffering and how that grows you/lead her to find her meaning, burden, and passion. I would recommend this one too!